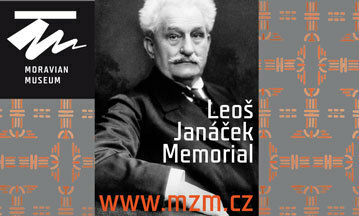 Each premiere from the Ondráš Military Art Ensemble is an event that sparks great interest from folk fans. It was no different on Thursday in the slightly cramped quarters of the Divadlo Bolka Polívky theatre. The concert carrying the title Through the Landscape of Time had already been sold out a month ahead. This performance designed for smaller stages was the collective work of many significant as well as less well known choreographic and musical figures. Despite the size and diversity of the creative team the result gave a comprehensive impression. However anyone expecting a decisive break with tradition would have been disappointed. Essentially the programme was a typical product of this military ensemble which its audiences are used to. Of course this is not necessarily a bad thing. Ondráš fans got what they wanted and new viewers left with the feeling that they had seen a professional performance by musicians and dancers, without any noticeable hesitation. The high degree of stylisation, which is typical for Ondráš, showed itself differently in each number. It was interesting to see the signature of some of the choreographers, which was so clear as to be unmistakeable. This colourful mix of choreographic approaches carried the entire evening. We can name for example the Slovak choreographer and dancer Stanislav Marišler, who is also a member of the quirky Všetečníci group. His refined sense of dance humour was also on display in the Ondráš-style dance with the rousing fantasy name of Carp. Another, this time Czech figure, with an unmistakeable style is the long-term court choreographer of the ensemble Hradišťan, Ladislava Košíková. In many cases dance stylisation can come across as smug and false. In the hands of amateurs it can be an element that can completely destroy the overall impression of the dance. When you expect something to be done by the woman, the opposite happens. Deep symbolism projected onto the entire body of a dancer is technically difficult, but all the better for the understanding of the audience. Košíková’s choreography in Obilí was the quintessence of this. I also should not neglect Mince (Coin), which stayed mostly faithful to folk tradition. In the version by the head of the dance troop Jan Kysučan the audience had a chance to admire folk from west Slovakian Trenčín and Moravské Lieskové with the lunges that are a favourite with audiences. This element was rather overused in this folk environment, but even so its effectiveness is so great that as used by VUS Ondráš it can’t be seen as a negative. The musical direction was in the hands of the former cimbalom player of the ensemble Jiří Gužík. Most of the musical accompaniment was also with his arrangements which were demanding both technically and for the audience. The interconnection of several folk customs and the Christian legend in the number Jednom, inspired by songs from Hradišťsko was awesome. Among others the arrangement by Jan Rokyta, who also took part in Thursday’s programme, also excelled. It was an instrumental version of the song from Valašsko with a magical mood, carrying the name Rituál. In some numbers unfortunately folk clichés and stereotypes could be seen, which of course are common among most domestic folk ensembles. Stylised stage productions tend to promote this. Over the years the legend that is Ondráš has built a personal style which it keeps to and which still has something to offer, and not just to its fans. And that is good. Moreover it can be seen that the Czech-Slovak folk environment is not lacking in quality artists. And that is perhaps even better news.